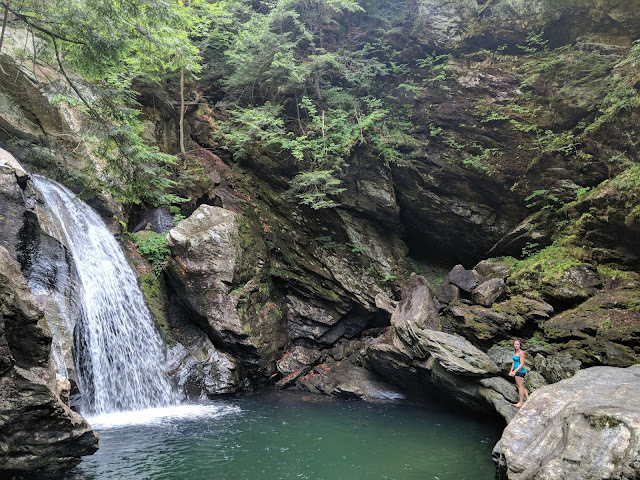 Picture this, a short scenic hike to a beautiful waterfall with an emerald pool in Stowe Vermont.... a swim in the refreshingly cool pool below included. Places like this, and mornings like this one, are some of the reasons why New England is such a beautiful part of the planet. Trying to describe New England to my friends out west was always a challenge. Sea level is not as inviting to people who strive to conquer Colorado's 14 footers, or people who love to sneak into the backcountry sight unseen for 5 days. We may not always have those classic deserts, insane summit views, or towering prominent peaks. BUT, what we do have is amazing bodies of water, ranging from woodsy waterfalls to beach coastlines. And the green. Here in New England, there is just so much green... oh how I missed this level of green. 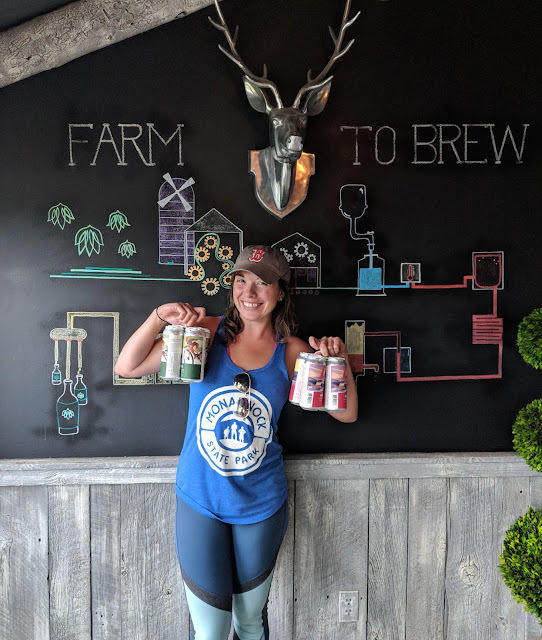 If you have been following Katie Wanders for a while, you probably know a few things to be true: 1) I love to be active and 2) I love to park my behind at a brewery immediately after said activity. Hike/Ski/Run, Beer, Repeat. And if I am being honest, it has to be good beer - preferably local, preferably new to me. As some may tease, I have a loose set of rules when it comes to boozing in various locations. You can drink a Narraganset on the Block Island Ferry... you can drink a PBR on a ski mountain, but in about every other situation, it has to be good beer. After a great hike up Mount Hunger, three silly sweaty hikers left the trailhead and immediately drove to one of the local breweries to drink cold beer (and cider, and vodka) and order everything on the menu that was deep fried or smothered in sauce and cheese. A few hundred calories burned and a few thousand consumed. It was a weekend for the books, just not the scales. Spending time with your favorite gal pals up in the Green Mountains on a sunny Saturday is the ultimate "reset" for the tired soul. Friday at quitting time we packed up the car with 8 bags of snacks, roughly 200 spiked seltzers, and our best 90s playlist for the drive north to Stowe, Vermont. 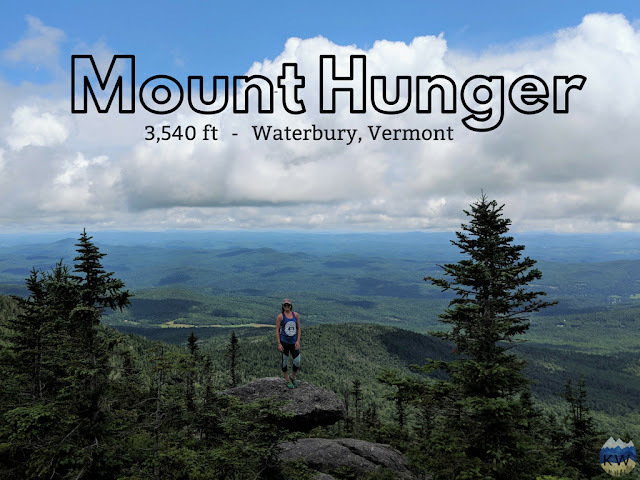 We woke up early Saturday morning and grabbed some coffee, bagels, and bacon before heading to the neighboring town of Waterbury, Vermont for our hike. We rolled the windows down as we drove to the trailhead, blasting our favorite 90s jams, singing all the words we thought we knew. Every good adventure starts with the windows down and the music up. It is hard for me to go to Vermont without spending at least $100 in beer to bring back home to my well stocked fridge or to thirsty friends. This trip was no exception and after biking Burlington for the day and a delicious lunch at Sweetwaters, I hopped back on my bike to check out the well known and loved Citizen Cider.